In the race of being at the topmost of Premier league United went onto produce some sensational football led by Hernandez whose double blow against Wigan proved pivotal defeating by 4-0. This also brought Hernandez 9th Premier league goal. After this Arsenal and United both have played 27 fixtures United still remaining well four points ahead of Arsenal. Wigan who were facing relegation , tried to impress earlier on but Van der Saar repelled their every move, thus lessening their motivation. Hernandez was quick to respond as he went on to score his first goal in the 17th minute as a result of Nani's cross to set things up for United. United who just had arrived after a goalless fixture at Marseille. Rooney had teamed up with Hernandes as Berbatov sat on the benches as spectator. 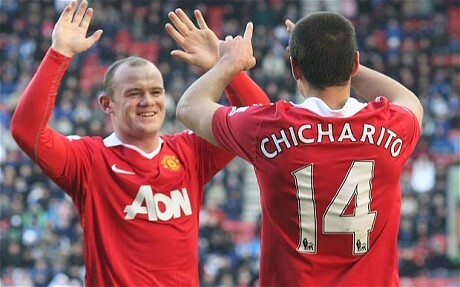 With Chichartio's second goal ,had killed the demon off the spirited Wigan. “If my player had done that, he would have been very, very lucky to stay on the pitch,” Martinez said. “It’s clearly a red card, Rooney was very fortunate. If you see it on the television, it is clear. If he would have been awarded red card it would have meant that he had missed three fixtures , and important one's against Liverpool, Chelsea and FA Cup quarter final against Arsenal.Now United will travel to Stamford Bridge on Tuesday, in a long awaited clash with the last year's champions Chelsea. Both Giggs and Ferdinand also nearing recoveries. If they win in west London, United march on with a seven point lead. Both captain Shahid Afridi and vice captain Misbah ul Haq went on to inspire their team with a 11 runs defeat against Sri Lanka with their exceptional display of cricket. 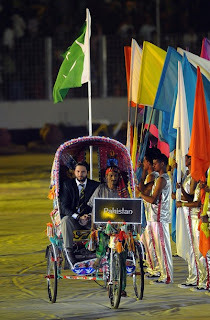 Afridi , who got onto continue with his sublime form produced sensational figures of 4-34. Misbah (82*) who along with Younus Khan(73) propelled the mid-order batting with a stand of 108 run partnership remained pivotal. Afridi in his 314 ODI match went onto become only the 2nd player after Jayasuriya to have attained over 6000 runs and 300 ODI wickets. Batting first, Pakistan remained solid as ever, propelling pretty fast in the first power play (65/1), just went onto lose Shahzad. After Hafeez and Akmal playing superbly , went onto a horrendous mix up as Hafeez ran himself out. After removal of Akmal both both Younus Khan and Misbah played some technically sound cricket, nudging singles and occasional boundaries to keep the scorecard ticking. After the 40th over Sri Lanka slowing things pretty down as Murali in the power play in his last 2 overs conceded just 6 runs and took wicket of Umar Akmal. Finally went onto wrap up at 277/7 with Misbah playing masterfully remained unbeaten at 82. Sri Lanka starting of pretty cautiously , as their run rate remained below par most of the innings but kept their wickets intact will 15th over. But with the Boom Boom and his spinner company, things were getting totally different as Tharanga who got who caught off the bowling of Hafeez . Afridi also bowled off Dilshan. With two players onto the crease Afridi played his trump card bringing Akhtar back which ultimately payed back with the wicket of Jayawardena. Later Sri Lanka made some recovery with the partnership of Sangakkara and Chamara Silva but Afridi always went onto take wickets on cruical junctures. Only thing not going in Pakistan's favours was two missed stumpings and two catches dropped which marred the overall fielding performance which remained pretty perfect throughout. With Silva and Kapugedra's partnership things were looking pretty dangerous for Pakistan but the required run rate always kept on increasing. But Pakistan managed to sneak in with a 11 run victory. It was almost a perfect day for Pakistan as they started their World Cup campaign beating the minnows Kenya with a thumping 205 run victory. This was also their largest margin victory in World Cups , earlier being versus Sri Lanka back in 1975 with a 192 run victory. Afridi led from the front taking 5 wickets for just 16 , making the best bowling figures by a captain in World Cups. This match was full of surprises and with bunch of records, counting would take some time, so once it would be given at the end. On a slow pitch Pakistan decided to bat, which some early casualties including a stunning dismissal of Hafeez by some brilliant athletic stuff by Waters. After being just 12-2 Kamran Akmal and Younis Khan took charge and played some sensable cricket , taking Pakistan past 100 run mark. After dismissals of Akmal and Younis , Younger Akmal and vice captain Misbah took over the anchor role in the innings build up. While Misbah busy with his sweeps, and reverse sweeps , Umar Akmal played some gem of an innings playing some technically sound stroke to boost the scoreboard. Together they posted a 5th wicket partnership of 118 again a World Cup highest for Pakistan .With on the bowling side, it was a total mess. After starting off pretty impressively, they brought themselves into a total havoc; with wides all over the pitch, and few of them being raced down the boundary ,no chance for the wicketkeeper to but glove the ball. In total they brought 37 wides , equalling West Indies record also against Pakistan. Their last batting powerplay yielded 70 runs, mostly thanks to the extras. Odoyo on one time on a hatrick, delivered a horrendous 5 run wide on the hatrick ball. With Kenyan batsman onto the crease after a heavy target to pursue, never were threatning, though not have lost too many wickets earlier on, but remained below par with the run rate. After being 72-2 by 22nd over, Afridi took charge and bamboozled the Kenyans all around. Mixing up his googlies, top spinners, and occasional faster ones he produced on the most sensational bowling performance in his career. Finally Umar Gul wrapped up the proceeding with a indipper to clean up Ngoche, so at 112 it was it. Misbah-ul-Haq scored his fourth half-century in 11 innings since August 2009. In the same period, he has scored 428 runs at an average of 47.55. Everton and Manchester United went on to secure their places in the final 16 in a close battle to secure their places. In a match between Chelsea and Everton , Everton finally managed to prevail in a penalty shoot out thriller, as they went on to lead the scores 4-3 in the shoot out. Earlier they had tied on 1-1, and the goals from both sides come after the extra minutes from Lampard and Baines. The hero for the moment for Everton was Phil Neville who hit the winning spot-kick as Everton booked their place in the quarter finals. On the other hand Crawley Town were unable to make a FA Cup shocker, and Wes Brown goal in the first half as a result of a header had done enough to let their chances ending up n last 16. Crawley Town were unlucky not to score an equaliser as David Hunt and Matt Tubbs missed late chances . Crawley offered some boost off when Ben Smith's long-range effort dipped behind United keeper Lindegaard but fell wide. So United remained firm and went on to beat Crawley Town. Carlos Ancelotti , Chelsea boss was pretty upset as the blues went out crashing, falling victim to the penalty shoot out said his side were "in control" of their FA Cup replay against Everton until the Toffees' late equaliser. 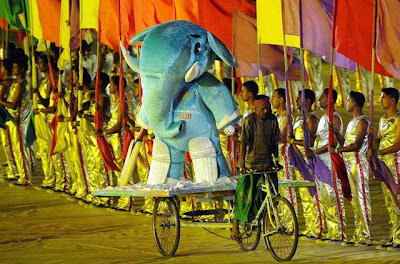 The captains along-with the official mascot 'Stumpy' enters the world cup opening ceremony in a cycle rickshaw in Bangabandhu stadium, Dhaka. Timothy John Nielsen is a former South Australia state cricketer and is currently the head coach of the Australian cricket team. He was born on 5 May, 1968 in London, England. He has played as a wicket-keeper/batsman for South Australia from 1990 to 1999. 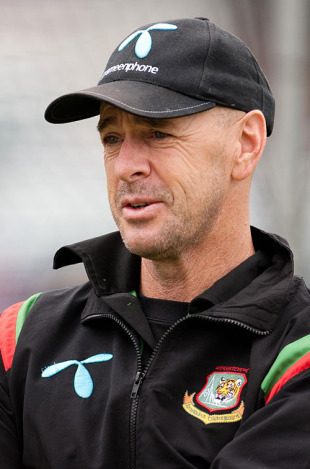 He was coach at the Australian Centre of Excellence in Brisbane between 2005 and 2007. James Darren Siddons is an Australian cricketer, renowned for his involvement in Sheffield Shield first-class cricket over a 16-year career. He was born on 25 April, 1964. He was the first player to score 10,000 runs in the Sheffield Shield. 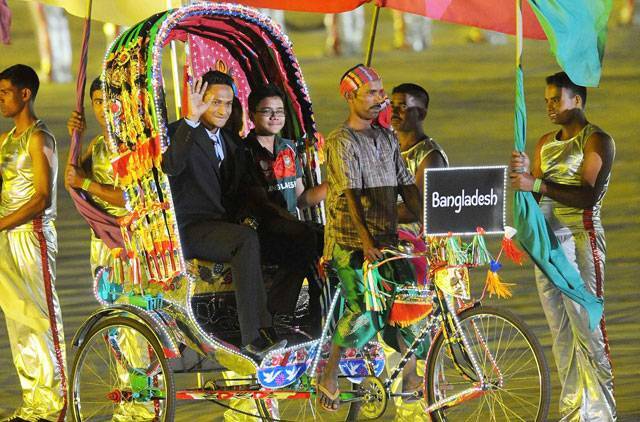 He was appointed coach of Bangladesh in Dhaka 2007. Pubudu Bathiya Dassanayake is a Sri Lankan cricketer who played in 11 Tests and 16 ODIs from 1993 to 1994. He was born on July 11, 1979 in Kandy. He has played for Canada between 2005-6, captaining the national side. 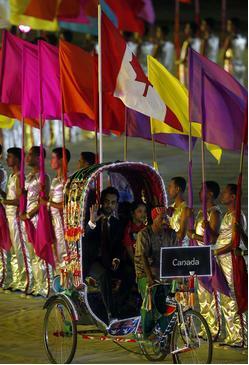 He was appointed coach of Canada in August 2007. He has also been a specialist wicket-keeping coach at the Sri Lanka Cricket Academy. 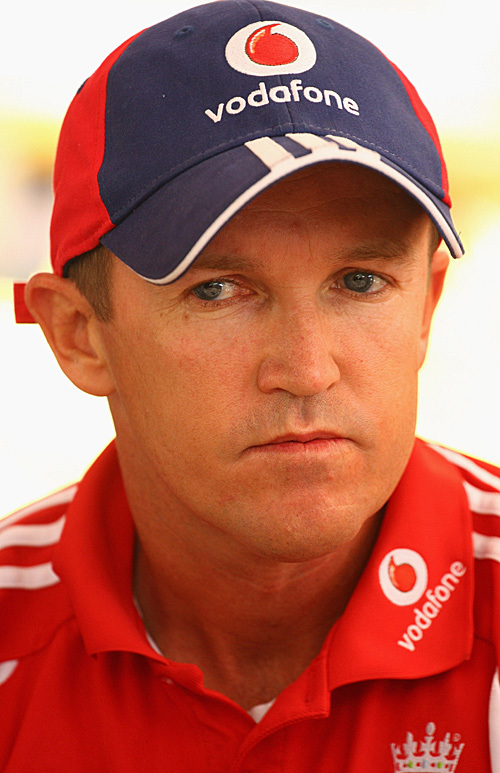 Andrew "Andy" Flower is a former international cricketer for Zimbabwe and is currently the England coach. 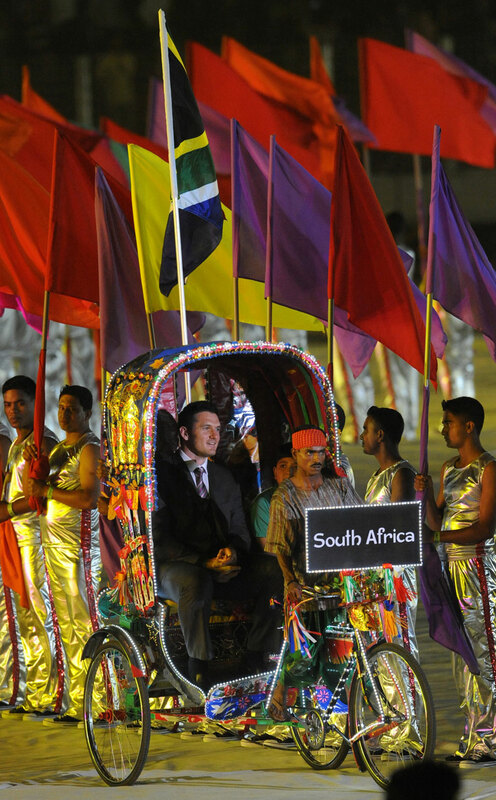 He was born on 28 April, 1968 in Cape Town, South Africa. He was appointed England coach in April 2009. He has played 63 Tests and 213 ODIs as a wicket-keeper/batsman for Zimbabwe between 1992 and 2003. 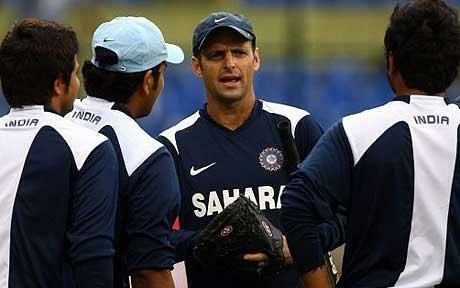 Gary Kirsten is a former South African cricketer, and current coach of the Indian cricket team. 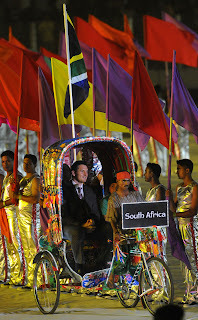 He was born on 23 November, 1967 in Cape Town. He has played 101 Test matches and 185 One-day internationals for South Africa between 1993 and 2004, mainly as an opening batsman. Philip Veraint Simmons was a skilled all-round cricketer who played as an opening batsman a useful bowler and a talented slip fielder. 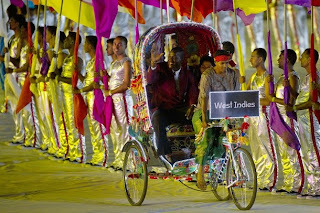 He was born on April 18, 1963 in Trinidad. 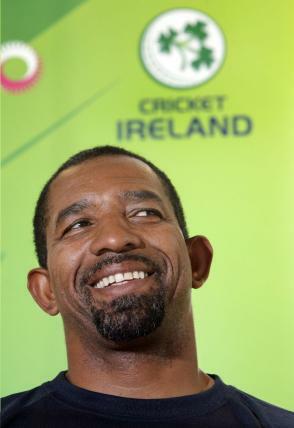 He was appointed the Ireland coach after the ICC CWC 2007. He has also coached Zimbabwe at international level. 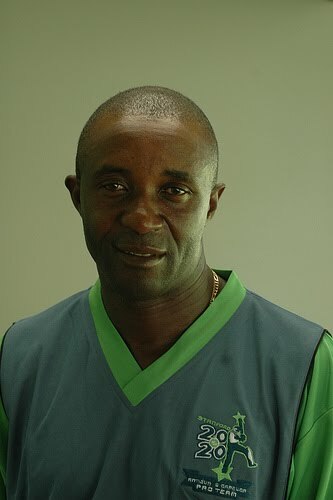 Eldine Ashworth Elderfield Baptiste appeared in 10 Tests and 43 One Day Internationals for the West Indies. 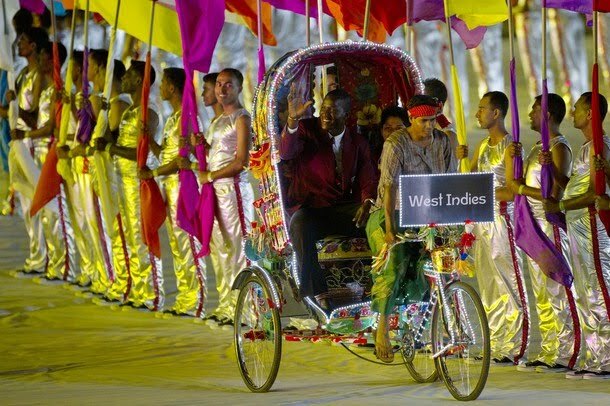 He was born on 12 March, 1960 in Antigua. He won all ten Tests he played for the West Indies. He has coached the Stanford Superstars to victory over England in 2008. He was appointed Kenya coach in September 2009, replacing previous coach Andy Kirsten. He was appointed as coach of the Netherlands in January 2008. 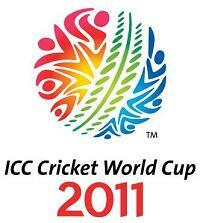 He has also coached Scotland at the ICC Cricket World Cup 2007. 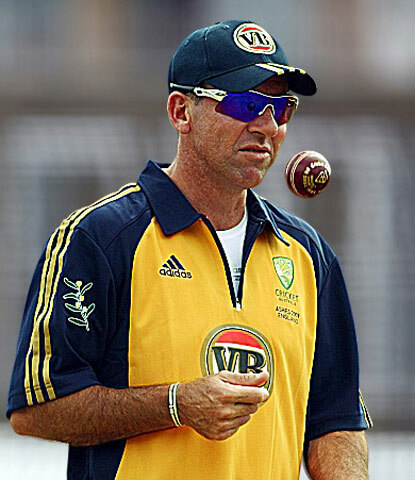 He has played first-class cricket as a wicket-keeper for Queensland between 1988 and 1990. John Geoffrey Wright is a former international cricketer representing - and captaining - New Zealand. He was born on July 5, 1954 in Darfield, New Zealand. He has made 82 Test appearances and 149 ODI appearances for New Zealand as a player. 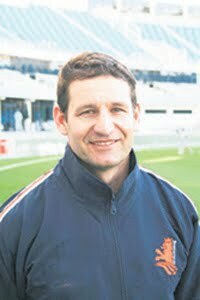 He replaced Mark Greatbatch as New Zealand coach in December 2010. 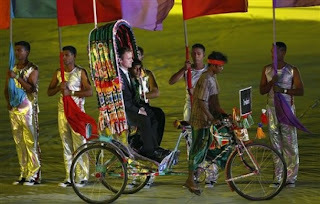 He is contracted as coach until 2012. 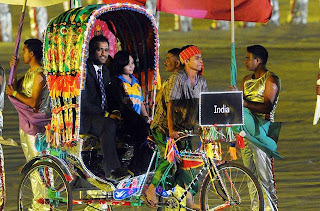 He has also served as India’s coach for five years. Waqar Younis Maitla is a former Pakistani right arm fast bowler in cricket and widely regarded as one of the best fast bowlers of all time. He was born on 16 November, 1971 in Vehari, Punjab, Pakistan. He has played in 262 ODI matches for Pakistan, taking 416 wickets. He was appointed as Pakistan coach in March 2010, having previously twice served as bowling coach. Cornelius Johannes Petrus Gerthardus van Zyl is a former South African cricketer who played two One Day Internationals in 1992. He was born on 1 October, 1961 in Bloemfontein, Free State. He is also a former national assistant coach. 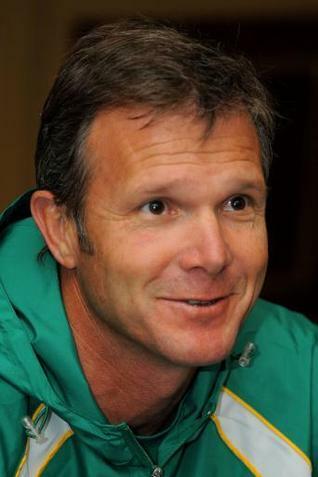 He has been appointed coach of South Africa National cricket team following the resignation of Mickey Arthur in 2010. 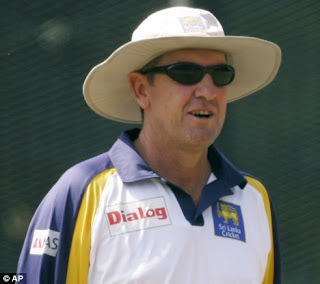 Trevor Harley Bayliss is a former cricketer for New South Wales and a former coach. He was born on 21 December, 1962 in Goulburn. 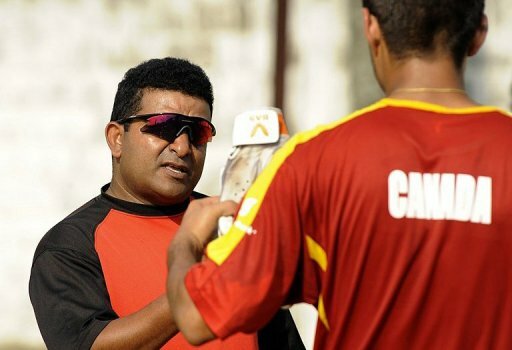 He is the current coach of the Sri Lanka national cricket team He was selected in June 2007 for a two year term as coach of Sri Lanka from August 1, 2007. Ottis Delroy Gibson is a cricket coach and former player from Barbados. He was born on 16 March, 1969. 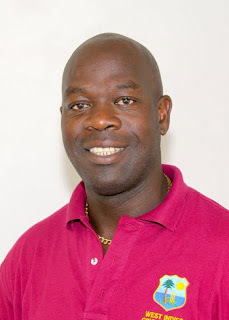 He was appointed coach of the West Indies in January 2010. 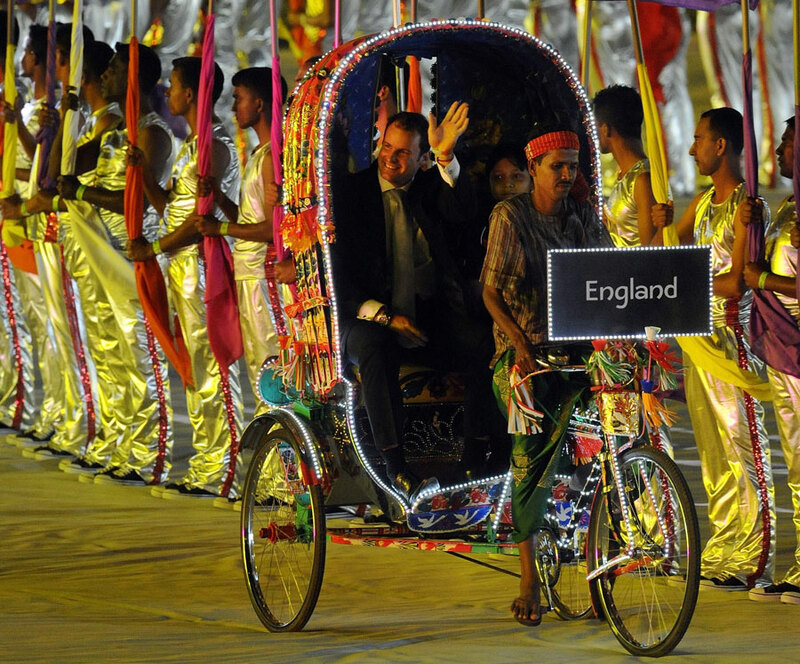 He also served as England’s bowling coach in September 2007. He has played two Tests and 15 ODIs for the West Indies between 1995 and 1999 as a fast bowler and useful lower-order hitter. 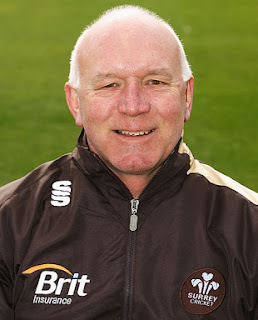 Alan Raymond Butcher is a former English cricketer. He was born on January 7, 1954 in Croydon. He made one Test appearance in his career, playing against India in 1979. He coached Surrey between 2005 and 2008. He became Zimbabwe coach in February 2010 .